— большие пробеги до замены, сниженный расход топлива обеспечивается технологией Black Chilli, уменьшающей нагрев шины при равномерном движении. Возможно, вас заинтересуют также следующие модели: Continental ContiSportContact 3. 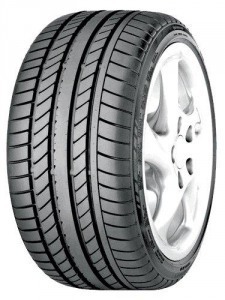 R16 Continental ContiSportContact 5 215/70 R16 100H 215/70 R16 100 H 33900 т.
R17 Continental ContiSportContact 5 205/40 R17 84V XL 205/40 R17 84 V 47890 т.
Continental ContiSportContact 5 205/45 R17 88V XL 205/45 R17 88 V 55300 т.
Continental ContiSportContact 5 205/45 R17 88W XL 2 шт. 205/45 R17 88 W 54530 т.
Continental ContiSportContact 5 205/50 R17 89V XL 205/50 R17 89 V 49820 т.
Continental ContiSportContact 5 215/45 R17 87V 2 шт. 215/45 R17 87 V 46260 т.
Continental ContiSportContact 5 215/45 R17 91W XL 215/45 R17 91 W 51030 т.
Continental ContiSportContact 5 215/45 R17 87W 1 шт. 215/45 R17 87 W 45540 т.
Continental ContiSportContact 5 215/50 R17 95W XL 215/50 R17 95 W 44020 т.
Continental ContiSportContact 5 215/50 R17 91V 215/50 R17 91 V 56830 т.
Continental ContiSportContact 5 225/45 R17 91W 225/45 R17 91 W 43530 т.
Continental ContiSportContact 5 225/45 R17 91W RF 225/45 R17 91 W 57510 т.
Continental ContiSportContact 5 225/45 R17 91V 225/45 R17 91 V 43580 т.
Continental ContiSportContact 5 225/45 R17 91Y 225/45 R17 91 Y 43580 т.
Continental ContiSportContact 5 225/50 R17 94W 225/50 R17 94 W 61020 т.
Continental ContiSportContact 5 225/50 R17 94Y 225/50 R17 94 Y 58100 т.
Continental ContiSportContact 5 225/50 R17 94V 2 шт. 225/50 R17 94 V 39710 т.
Continental ContiSportContact 5 225/50 R17 94W RF 225/50 R17 94 W 70990 т.
Continental ContiSportContact 5 225/50 R17 98Y XL 225/50 R17 98 Y 60820 т.
Continental ContiSportContact 5 235/45 R17 94W 235/45 R17 94 W 61480 т.
Continental ContiSportContact 5 235/45 R17 94Y 2 шт. 235/45 R17 94 Y 61270 т.
Continental ContiSportContact 5 235/50 R17 96W 235/50 R17 96 W 61110 т.
Continental ContiSportContact 5 245/40 R17 91Y 245/40 R17 91 Y 62340 т.
Continental ContiSportContact 5 245/40 R17 91W 245/40 R17 91 W 61630 т.
Continental ContiSportContact 5 245/45 R17 95W 245/45 R17 95 W 62270 т.
Continental ContiSportContact 5 245/45 R17 95Y 245/45 R17 95 Y 63060 т.
Continental ContiSportContact 5 245/45 R17 99Y XL 1 шт. 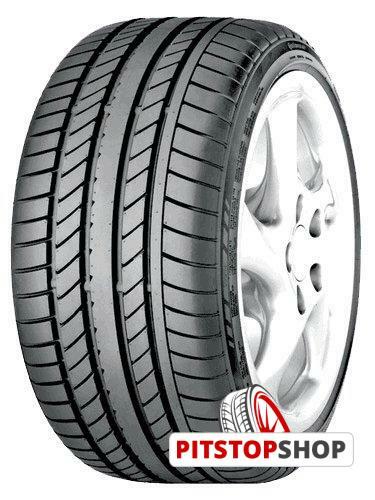 245/45 R17 99 Y 65310 т.
Continental ContiSportContact 5 255/45 R17 98Y XL 2 шт. 255/45 R17 98 Y 87190 т.
Continental ContiSportContact 5 255/45 R17 98W RF 255/45 R17 98 W 104220 т.
R18 Continental ContiSportContact 5 215/35 R18 84Y XL 215/35 R18 84 Y 65600 т.
Continental ContiSportContact 5 215/40 R18 89Y XL 215/40 R18 89 Y 72740 т.
Continental ContiSportContact 5 215/40 R18 85Y 215/40 R18 85 Y 73710 т.
Continental ContiSportContact 5 225/35 R18 87Y XL 225/35 R18 87 Y 75320 т.
Continental ContiSportContact 5 225/35 R18 87W XL 225/35 R18 87 W 76280 т.
Continental ContiSportContact 5 225/40 R18 92W XL 225/40 R18 92 W 57330 т.
Continental ContiSportContact 5 225/40 R18 92Y XL 225/40 R18 92 Y 53500 т.
Continental ContiSportContact 5 225/40 R18 92W RF 225/40 R18 92 W 69620 т.
Continental ContiSportContact 5 225/40 R18 88Y RF 225/40 R18 88 Y 74870 т.
Continental ContiSportContact 5 225/45 R18 95Y XL 225/45 R18 95 Y 72460 т.
Continental ContiSportContact 5 225/45 R18 95W XL 225/45 R18 95 W 83920 т.
Continental ContiSportContact 5 225/45 R18 91Y XL 225/45 R18 91 Y 70190 т.
Continental ContiSportContact 5 225/45 R18 91V 225/45 R18 91 V 81630 т.
Continental ContiSportContact 5 225/45 R18 91Y RF 225/45 R18 91 Y 83860 т.
Continental ContiSportContact 5 225/50 R18 95W RF 225/50 R18 95 W 96700 т.
Continental ContiSportContact 5 235/40 R18 95W XL 235/40 R18 95 W 87440 т.
Continental ContiSportContact 5 235/45 R18 94W 235/45 R18 94 W 72540 т.
Continental ContiSportContact 5 235/50 R18 97Y 2 шт. 235/50 R18 97 Y 83990 т.
Continental ContiSportContact 5 245/35 R18 88Y RF 245/35 R18 88 Y 90420 т.
Continental ContiSportContact 5 245/35 R18 88Y 1 шт. 245/35 R18 88 Y 81010 т.
Continental ContiSportContact 5 245/35 R18 92Y XL 245/35 R18 92 Y 81940 т.
Continental ContiSportContact 5 245/40 R18 93Y XL 245/40 R18 93 Y 72960 т.
Continental ContiSportContact 5 245/40 R18 97Y XL 245/40 R18 97 Y 75320 т.
Continental ContiSportContact 5 245/40 R18 97Y RF 245/40 R18 97 Y 90020 т.
Continental ContiSportContact 5 245/45 R18 96W 245/45 R18 96 W 69610 т.
Continental ContiSportContact 5 245/45 R18 100W XL 245/45 R18 100 W 69690 т.
Continental ContiSportContact 5 245/45 R18 96Y 245/45 R18 96 Y 63000 т.
Continental ContiSportContact 5 245/50 R18 100W 245/50 R18 100 W 81610 т.
Continental ContiSportContact 5 245/50 R18 100Y XL 245/50 R18 100 Y 81500 т.
Continental ContiSportContact 5 255/35 R18 94Y XL 255/35 R18 94 Y 81050 т.
Continental ContiSportContact 5 255/40 R18 95Y RF 255/40 R18 95 Y 120510 т.
Continental ContiSportContact 5 255/45 R18 99W RF 255/45 R18 99 W 110940 т.
Continental ContiSportContact 5 255/45 R18 99Y 2 шт. 255/45 R18 99 Y 109670 т.
Continental ContiSportContact 5 255/45 R18 103H XL 255/45 R18 103 H 89900 т.
Continental ContiSportContact 5 255/55 R18 105W 255/55 R18 105 W 54800 т.
Continental ContiSportContact 5 255/55 R18 109V XL RF 255/55 R18 109 V 80730 т.
Continental ContiSportContact 5 275/45 R18 103W 275/45 R18 103 W 102580 т.
Continental ContiSportContact 5 275/45 R18 103Y 275/45 R18 103 Y 103900 т.
R19 Continental ContiSportContact 5 225/40 R19 93Y RF 225/40 R19 93 Y 128030 т.
Continental ContiSportContact 5 225/40 R19 89W RF 2 шт. 225/40 R19 89 W 124470 т.
Continental ContiSportContact 5 225/40 R19 89Y RF 225/40 R19 89 Y 126910 т.
Continental ContiSportContact 5 225/45 R19 92W RF 225/45 R19 92 W 94550 т.
Continental ContiSportContact 5 235/40 R19 92V 235/40 R19 92 V 85790 т.
Continental ContiSportContact 5 235/40 R19 96Y XL 235/40 R19 96 Y 100100 т.
Continental ContiSportContact 5 245/35 R19 93Y RF 1 шт. 245/35 R19 93 Y 122350 т.
Continental ContiSportContact 5 245/40 R19 98Y XL 245/40 R19 98 Y 90690 т.
Continental ContiSportContact 5 245/40 R19 101Y 245/40 R19 101 Y 77200 т.
Continental ContiSportContact 5 245/45 R19 102Y XL 245/45 R19 102 Y 100840 т.
Continental ContiSportContact 5 255/35 R19 92Y RF 255/35 R19 92 Y 117220 т.
Continental ContiSportContact 5 255/35 R19 96Y RF 255/35 R19 96 Y 118580 т.
Continental ContiSportContact 5 255/40 R19 100Y XL 1 шт. 255/40 R19 100 Y 94610 т.
Continental ContiSportContact 5 255/40 R19 96W RF 255/40 R19 96 W 118620 т.
Continental ContiSportContact 5 255/45 R19 104Y XL 255/45 R19 104 Y 111100 т.
Continental ContiSportContact 5 275/40 R19 105W XL 275/40 R19 105 W 110190 т.
Continental ContiSportContact 5 275/40 R19 101Y 275/40 R19 101 Y 105140 т.
Continental ContiSportContact 5 285/30 R19 98Y RF 2 шт. 285/30 R19 98 Y 151950 т.
R20 Continental ContiSportContact 5 245/40 R20 95W 245/40 R20 95 W 91100 т.
Continental ContiSportContact 5 255/35 R20 97Y XL 1 шт. 255/35 R20 97 Y 96680 т.
Continental ContiSportContact 5 255/40 R20 101Y XL 255/40 R20 101 Y 119340 т.
Continental ContiSportContact 5 295/30 R20 101Y 1 шт. 295/30 R20 101 Y 131440 т.
Continental ContiSportContact 5 305/30 R20 103Y 305/30 R20 103 Y 150850 т.
R21 Continental ContiSportContact 5 265/40 R21 105Y XL 265/40 R21 105 Y 140480 т.